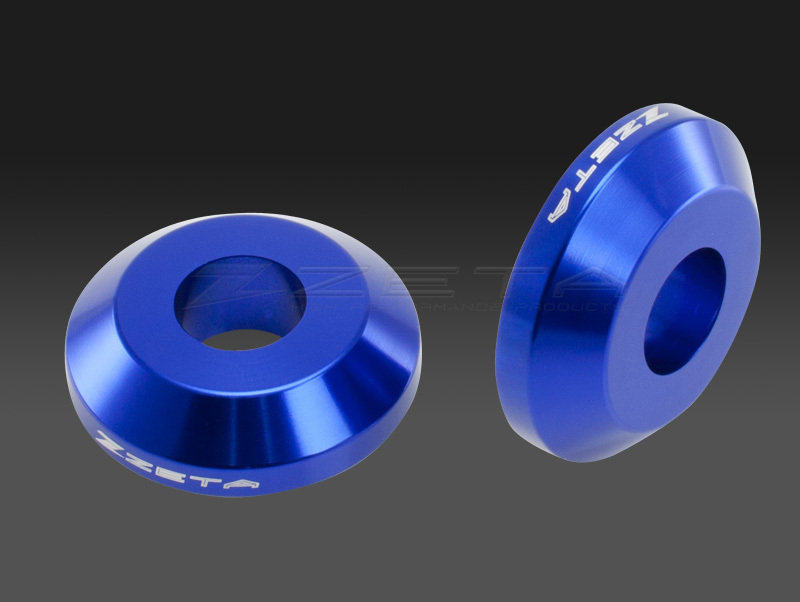 - Unique tapered design rear wheel spacers. 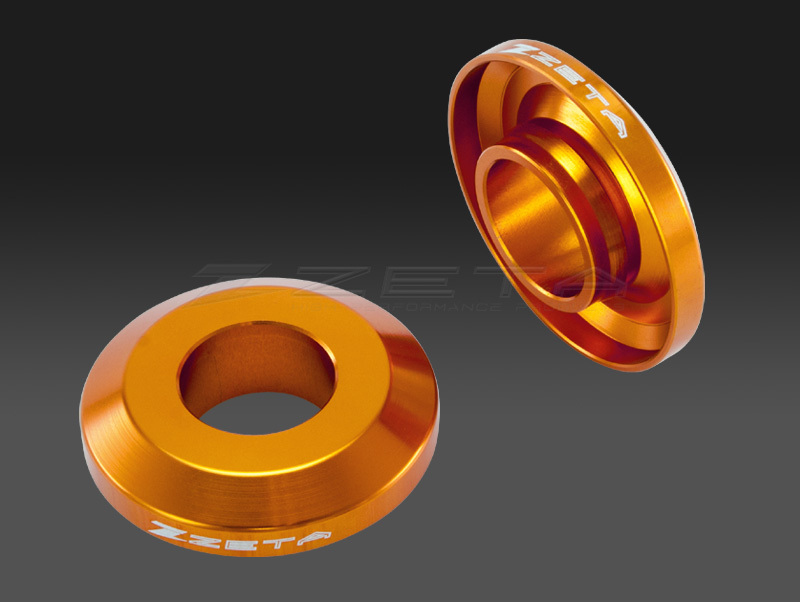 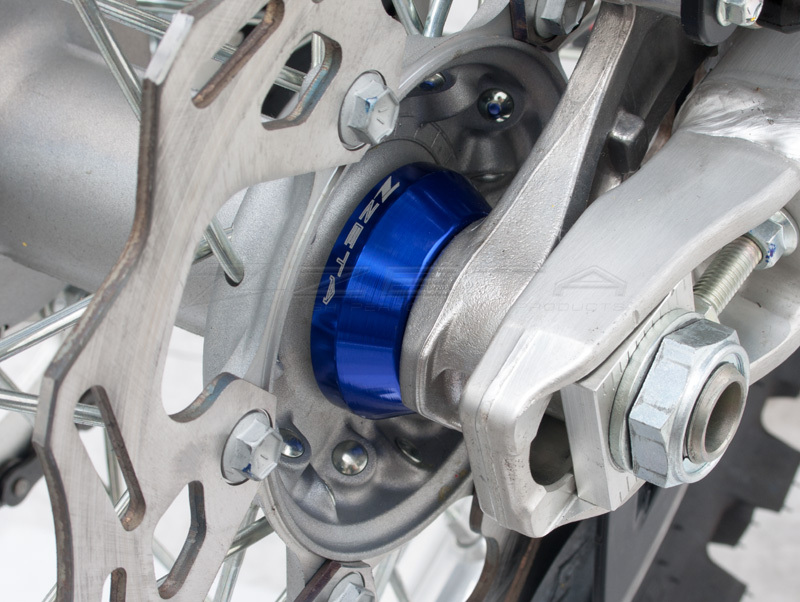 - Wheel spacers do not come off the hub during wheel installation, because of its tapered design. 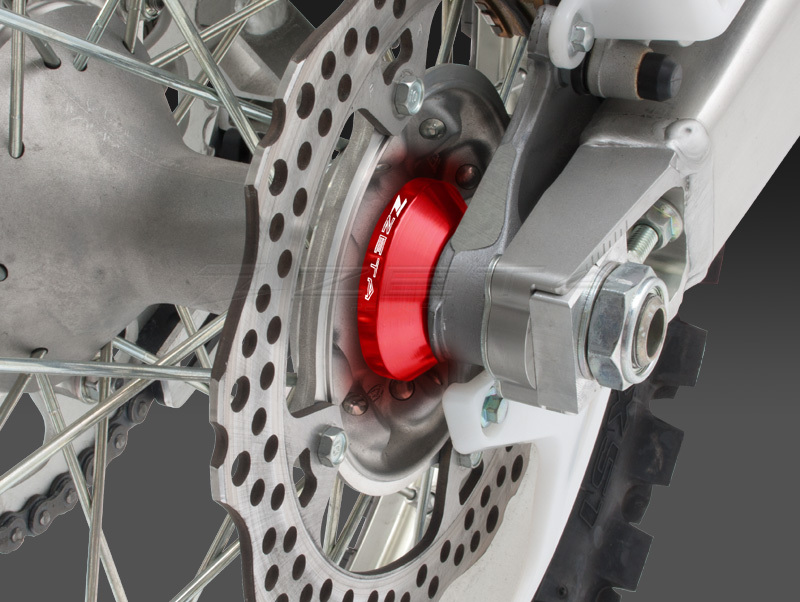 - Protects wheel dust seals and bearings from mud and dirt. 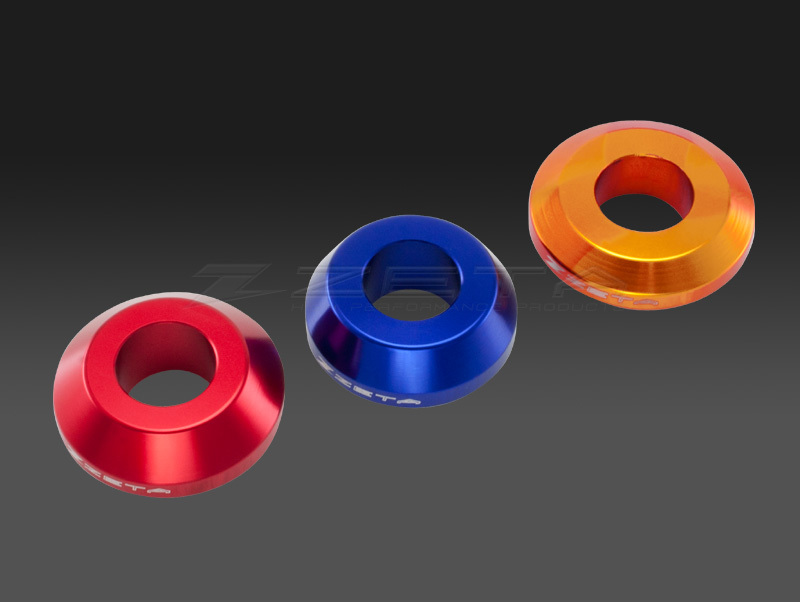 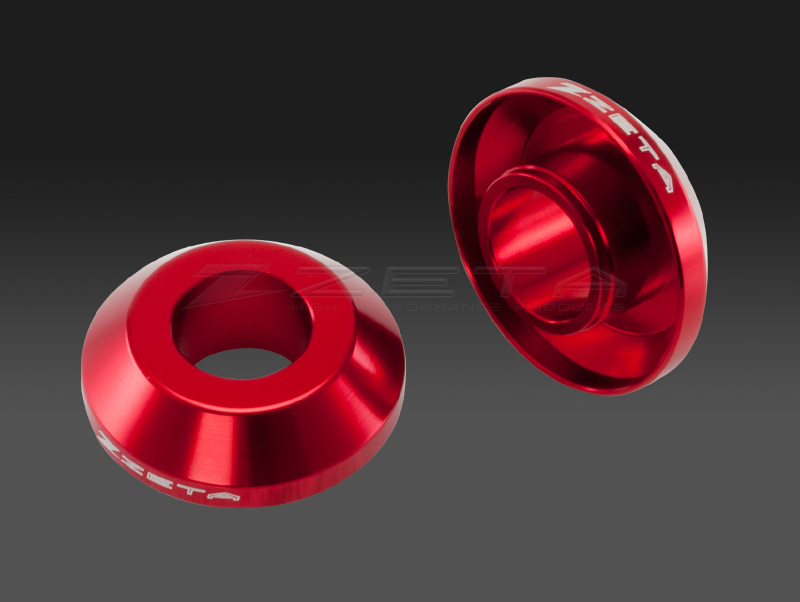 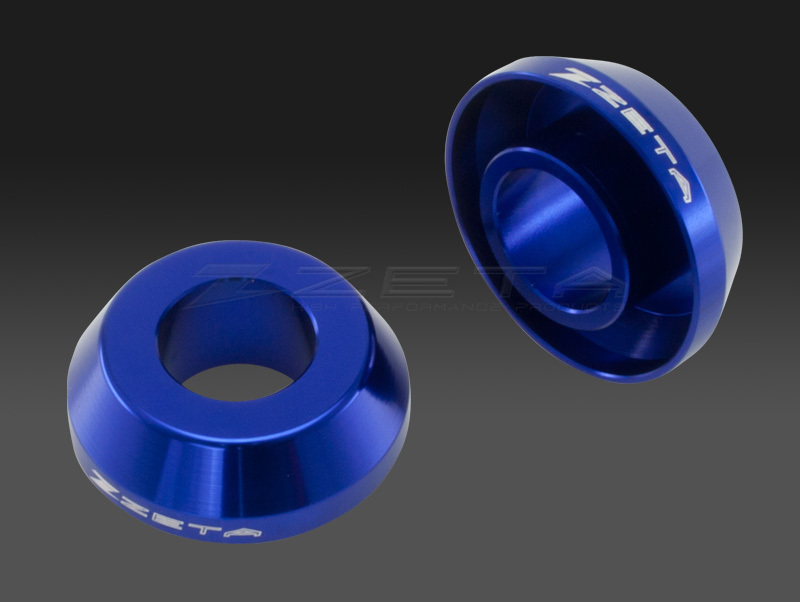 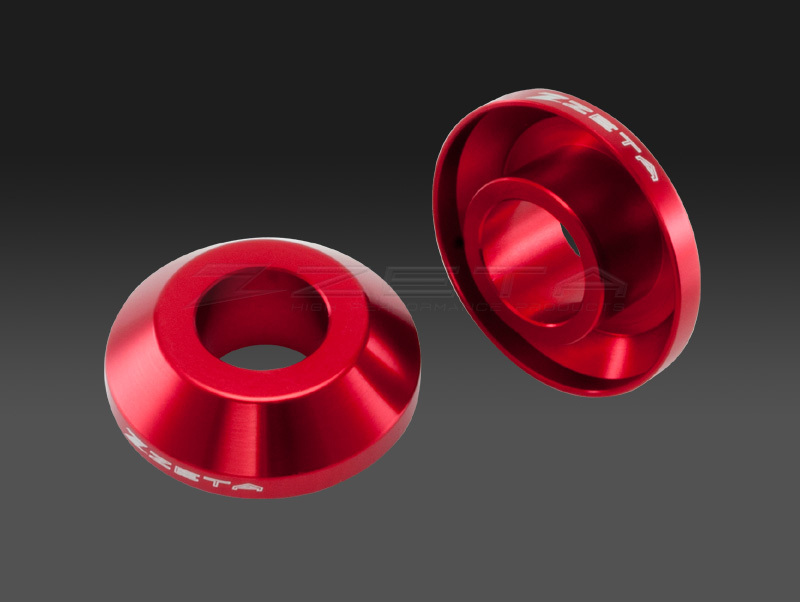 - Made of aircraft grade aluminum and anodized finish. 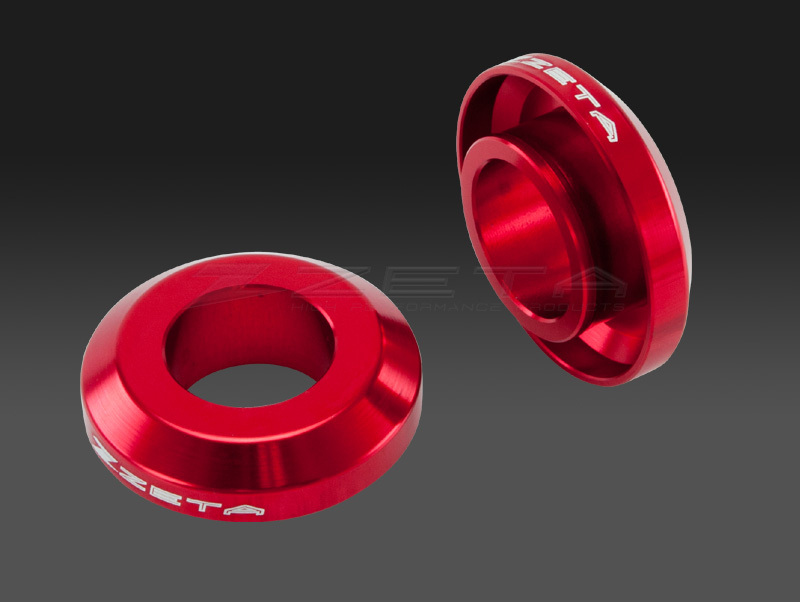 - ZETA laser etching logo on side body, comes in pair.